I believe that this rejoinder is part of the problem. When anyone responds this way, we yet again shift our focus away from a laser focus on the issue at hand, which is that in our country, the most overlooked and least-protested murders are those of black people. 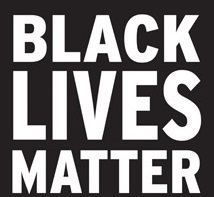 By saying that black lives matter, no one is saying that other lives don’t. That’s just plain faulty logic. Of course all lives matter, but the reality is that we act as if some lives matter more than others, repeatedly, in our systems of justice, education, economics, housing, and on and on. Let’s keep our focus on the problem, however uncomfortable we get about it, and not dilute the message or delude ourselves into complacency. Contact us today for a FREE 30 minute discovery call! New Leaf Coaching & Consulting is an Organizational Development Consultancy. We help people in values-based organizations work well together so they can do amazing work in the world. We create customized solutions, focused on your goals, so your organization can achieve extraordinary results.